Early Japanese cinema were, of course, under the influence of D. W. Griffith, Charles Chaplin, Douglas Fairbanks, and other early Hollywood cinema. Serial photoplays from Unites States and France, in addition to fast-paced westerns and Max Linder comedies were also textbook materials. Intolerance sent shockwave through young cinema lovers, while Zigomar was so sensational that it had to be banned in fear of copycat crimes. The films of Mourice Tourner, Thomas Ince and other Hollywood notables, plus early Italian epic films, and German Expressionisms were all flooding the Japanese cinema theaters. These films were universally acclaimed as influential and popular, so no surprise here. One unique influence on Japanese cinema was of Bluebird Photoplays. Bluebird Photoplays was the subsidiary of Universal Pictures, providing run-of-the-mill melodrama between 1916 and 1919. Though some familiar names, Lois Weber, Rupert Julian, Rex Ingram, Tod Browning and even John Ford can be found among the list of directors, the studio itself failed to deliver materials attractive enough for the U.S. market. Some of the Lon Chaney films are also products of Bluebird Photoplays. The titles like “Shoes (1916, Dir. Lois Weber)”, “Southern Justice (1917, Dir. Lynn Reynolds)”, “The Ruggedy Queen (1917, Dir. Theodore Marston)” probably sunk in box office in U.S., but they were among the most highly appreciated in Japan, especially by young artists in the business such as Norimasa Kaeriyama, Teinosuke Kinugasa and Minoru Murata. 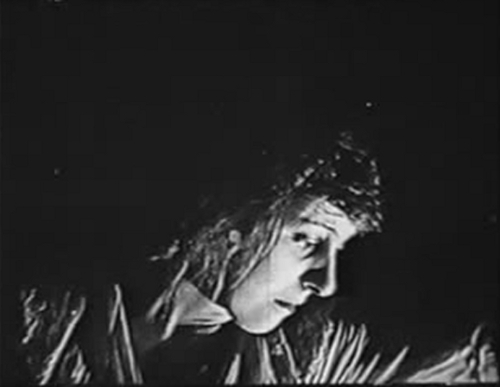 Keriyama, heavily influenced by Bluebird films, directed “Miyama no Otome (1919)”, a remake of “The Ruggedy Queen”, while Kinugasa studied Rupert Julian’s films thoroughly down to the minutest details. Young Yasujiro Ozu left a list of his favorite Bluebird actresses in his high-school notebook. Because only handful of the Bluebird films have survived, and even fewer are available for casual viewing, I am not in the position to give a full analysis on those films. Some contemporaries noted its “naturalness” (of acting and directing) was in stark contrast not only with Japanese cinema at the time, but also with Italian, German and, to some extent, Hollywood cinema at the time. Many of the cinematic language of the era were still somewhat theatrical and less dynamic. 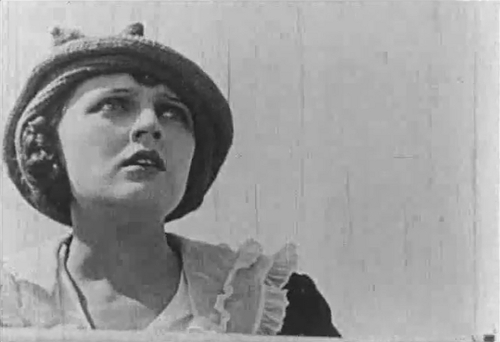 Some frame grabs of the film “A Society Sensation (1918, Dir. Paul Powell, noted for Rudolph Valentino appearance) (YouTube)” and “The Scarlet Car (1917, Dir. Joseph De Grasse) (Internet Archive)”are presented here. Here is the list of Bluebird Photoplays productions (* denotes the titles with prints known to have survived even if they are fragments. Maybe some others exist…). The list is from Japanese Wikipedia page. Have you seen any of these films? Is there anything different, or exceptional about them?